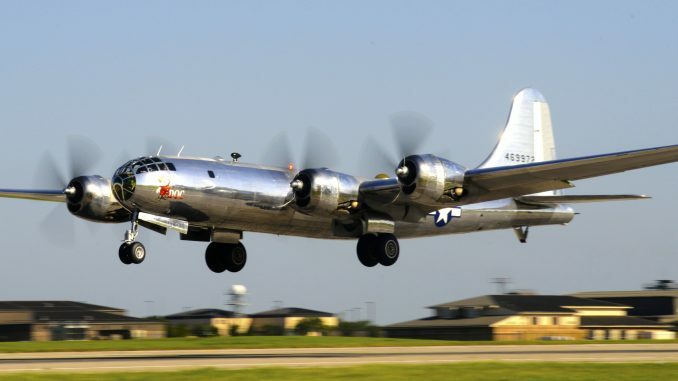 Doc’s Friends announced on Thursday the preliminary 2018 tour schedule they have arranged so far for their B-29 Superfortress known as Doc. While these are just the initial dates, the organization expects to add more to the list as they confirm appearances with various event planners across the country. While it is currently a short list, we must recognize that 2018 is only her second full year on the air show circuit, and that the logistics (and funding) required for touring a massive, complex aircraft like the B-29 involve enormous resources and careful management. The process must be as careful and deliberative as possible, to ensure a safe, successful and financially viable campaign. 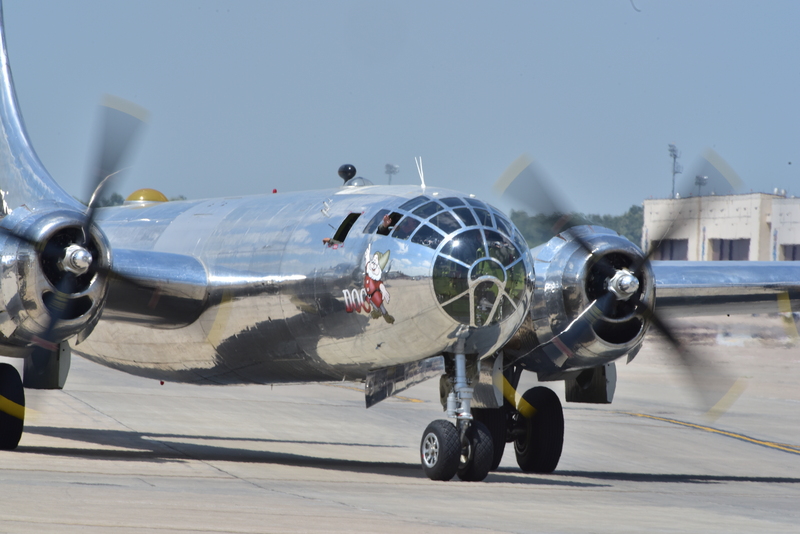 What is exciting to note is that Doc will return to EAA AirVenture Oshkosh 2018 following her debut last year, so the prospect of seeing two B-29s together at the same field, and perhaps even in the air together again, is something to really look forwards to. Additional tour stops will be announced in the coming weeks as negotiations with air shows are finalized. The scheduled winter maintenance program that began for B-29 Doc in early October is nearly 60 percent complete and the maintenance team reports no major issues. 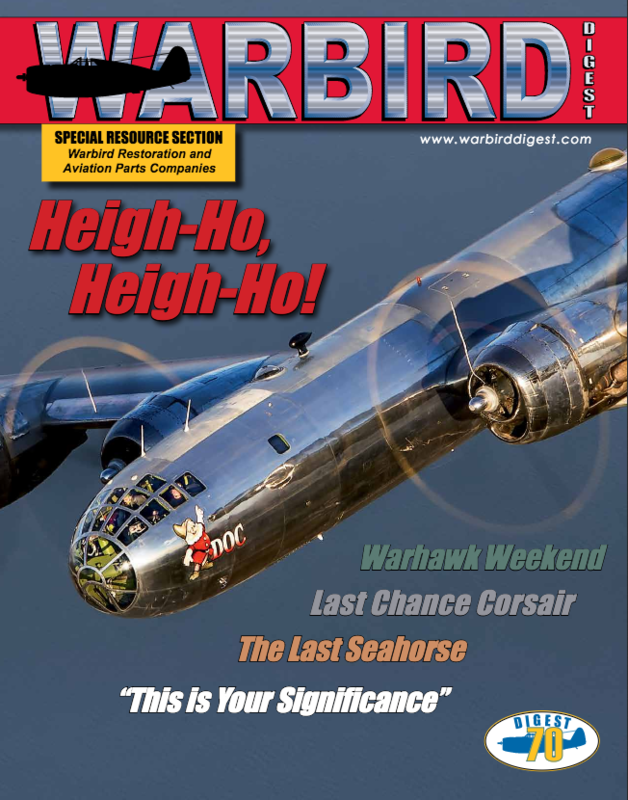 In 2017, Doc’s Friends logged more than 45 flight hours on the historic B-29, including stops at five air shows in five states, covering 4,750 nautical miles. Meanwhile, the Federal Aviation Administration and the Wichita Airport Authority Board of Directors have approved the final design concepts for the B-29 Doc Hangar and Education Center to be built at Wichita’s Eisenhower National Airport. Doc’s Friends broke ground on the $6.5 million, 32,000 sq. ft. facility in September, and major construction is expected to begin in January. Fundraising continues for the remaining dollars for the project through commemorative brick sales and other donations. More information about the commemorative bricks can be found online at www.b-29doc.com/bricks. You have to come out to The Phoenix area ! How about Luke AFB in March ?